Finding your dream job just got a little easier. Maybe your goal for 2019 is to find a job you love. And while crossing your fingers or praying might help – it might be time to take a step that could make your dream job a reality. The Resume Writing (CV) & LinkedIn Profile Optimization course serves as the perfect bridge to take you to your new life in your perfect gig. Though it typically retails for $199, it's available now for 94 per cent off at just $9.99. Let's face it, job hunting is rough. How many jobs have you applied to online, only to never hear back from anyone? This comprehensive course helps make the quest for a perfect job a little easier. Among the new skills you'll pick up in the 1.5 hours of instruction? 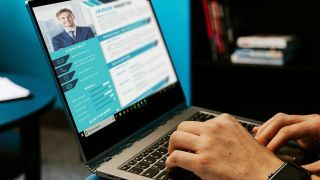 Three unforgettable elements to use in your LinkedIn tagline, the highest value keywords recruiters are using to search and how to avoid your resume getting caught in the bots that are filtering out more than 70 per cent of current online applicants. Get lifetime access to the Resume Writing (CV) & LinkedIn Profile Optimization course for the low price of $9.99 here.